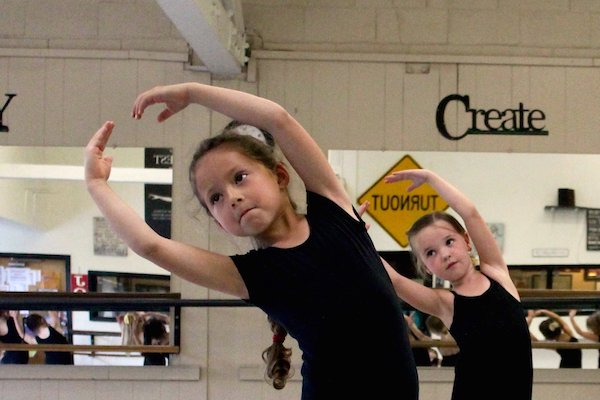 The Ballet Training Program is geared for students 3 1/2 to 20 years of age. The different academic levels require a certain amount of classes during the week that the student must attend. 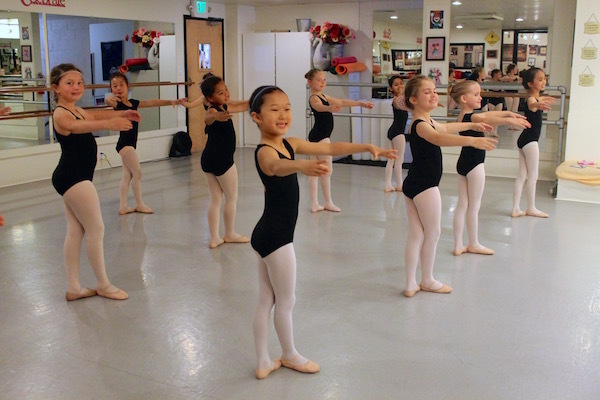 The students in the Ballet Training Program are invited to perform in our June Demonstration held at the Lesher Center for the Arts in Walnut Creek. Students in Beginning-Intermediate through the Advanced level are invited to participate in our Holiday Ballet ONCE UPON A CHRISTMAS. 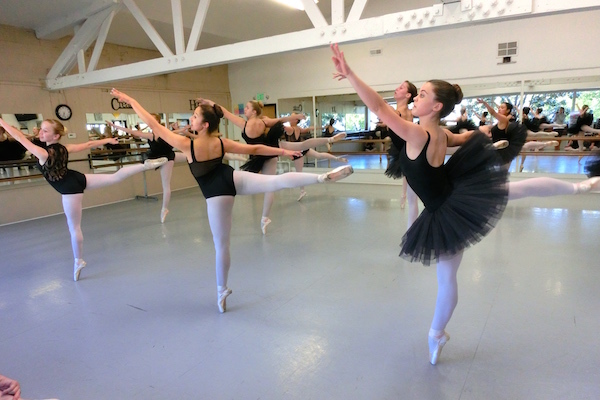 Our Advanced level performs throughout the year and forms our ballet company, the Ballet Joyeux. 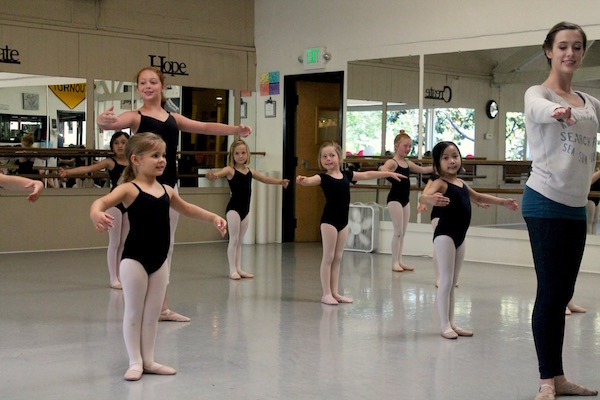 Enrollment in the Ballet Training Program is a monthly tuition, and all students must be enrolled in the school to attend. 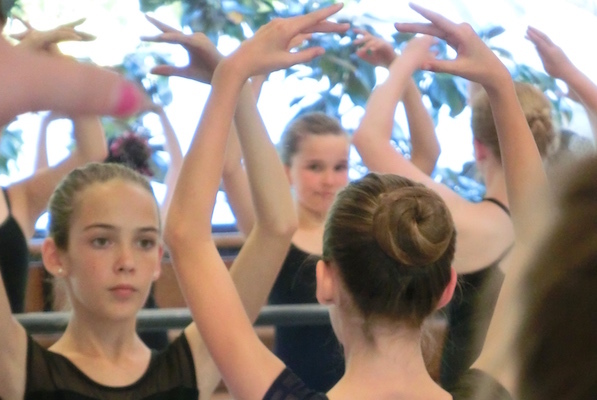 For youth ballet students, a 1/2 hour private lesson is required to help orientate the new student into the classroom work, since our classes are ongoing throughout the year. From this lesson we will be able to place the student in the appropriate level. The dancer can start at anytime throughout the year. You can schedule your private lesson by calling 925-934-2133. Tuition is due the first of every calendar month. Tuition is non-refundable. If a payment is not received by the 15th of the month a late fee will be charged. Please contact the office right away if you wish to change your schedule or cancel. 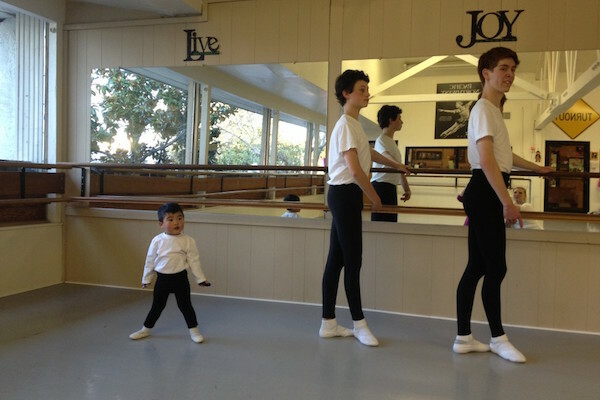 The Ballet School accepts Cash, Check, Debit/Credit Cards. $30.00 fee for any returned check. No billings will be sent out. Recurring Monthly Credit Card Charge can be set up in the office. Plain black leotard (NO Velvet or Rhinestones or Skirts), ballet pink tights, pink leather ballet slippers. 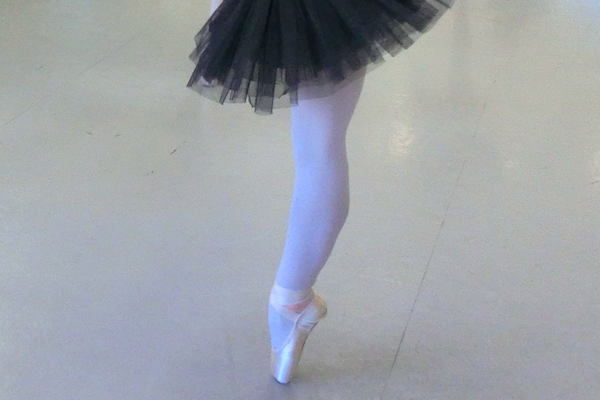 Pink Pointe shoes are required for the Pointe class when a student is ready to begin that work. No skirts are permitted. No jewelry or watches. Small, non-dangling earrings are permitted. Hair should be pulled back neatly from the face and secured. 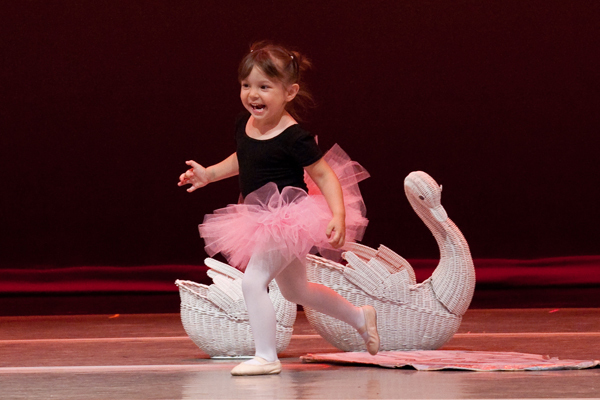 At the Beginning/Intermediate level on up, ballet buns must be worn. Fitted white T-shirts, black tights held in place by a belt rolled with the tights at the waist, dance belt, white socks, and white ballet shoes. Required to enroll in 1 class a week. Students in this class need to be enrolled in the school. The Ballet Training Program Dress Code is required. The Ballet Training Dress Code is required. Required to enroll in 2 classes a week. Required to enroll in 3 classes a week. For the girls, hair must be secured in a ballet bun. Students at this level must enroll in 3 ballet and 1 pilates/yoga class per week. For the girls, hair must be secured in the ballet bun. 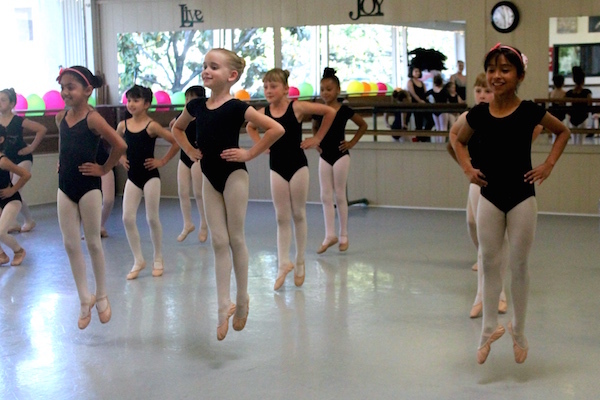 Students in this class need to be enrolled in the school and in our Ballet Training Program.